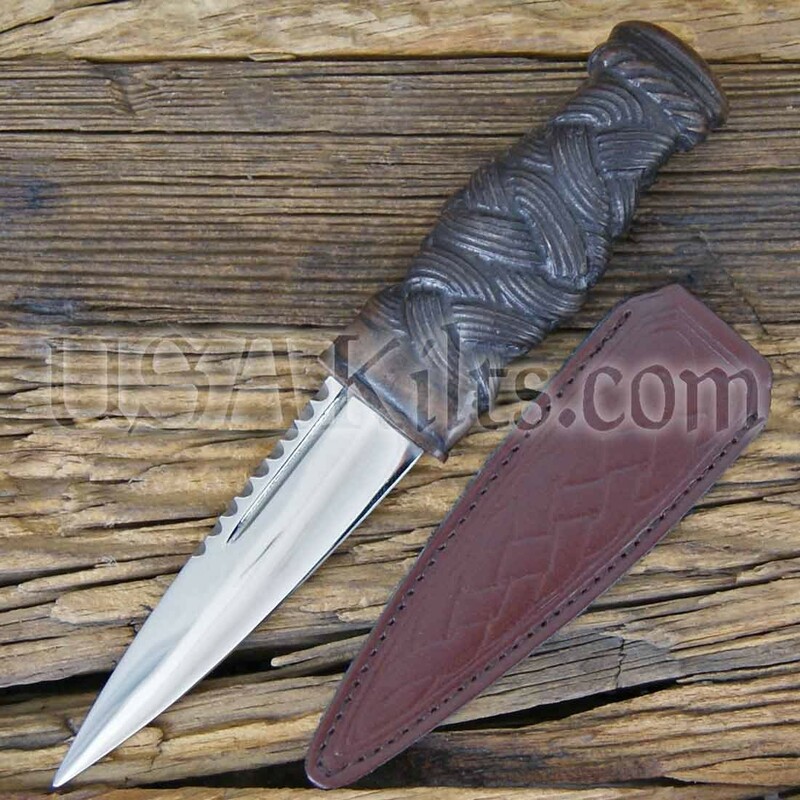 While this day wear sgian dubh may look like it's carved from wood, it's not! It is made in Scotland from a high quality resin that looks like real wood. Please note that the blade on this sgian dubh is not sharp, for your safety.